She is a playful 1 yr old Beagle mix painted in Lab colors who loves food. Being in a forever food mood goes with her Beagle DNA. 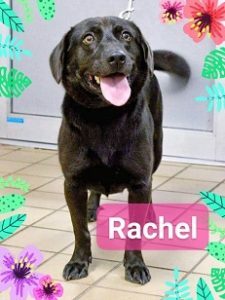 She knows SIT, is good with kids and prefers a home where she’ll the only dog. RACHEL is a bit too bossy with others of the canine kind.